Puppies are on the ground!!!! Hurry up reserve yours today! WE ARE TAKING DEPOSITS NOW! 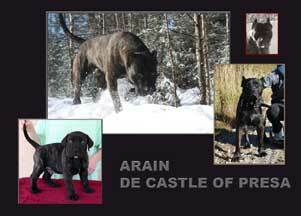 Areto is Hercules daughter. I guess, I don't need to say more. The very best. She looks lot like her father Hercules, and she definitely has his drive and very high guarding instinkt. 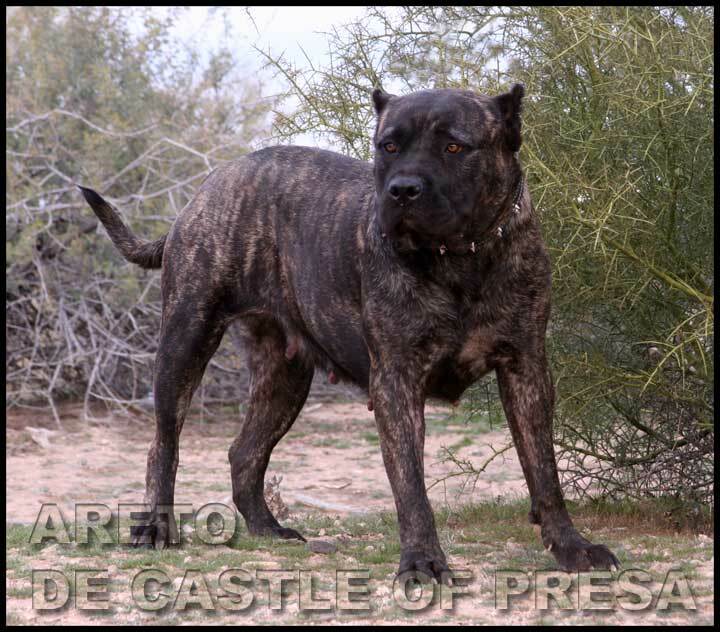 I like Areto, very obedient, always try to please me, very muscular, fearless protector, but sweet, sweet pet at home, that's what makes her to be a real Presa. . Great working blood line, Hercules' daughter, the best male Presa on the planet. And Rambo? Tough male with deep bark. He already proved how great stud he is. All puppies from his previous litter have been excellent and great for protection training. 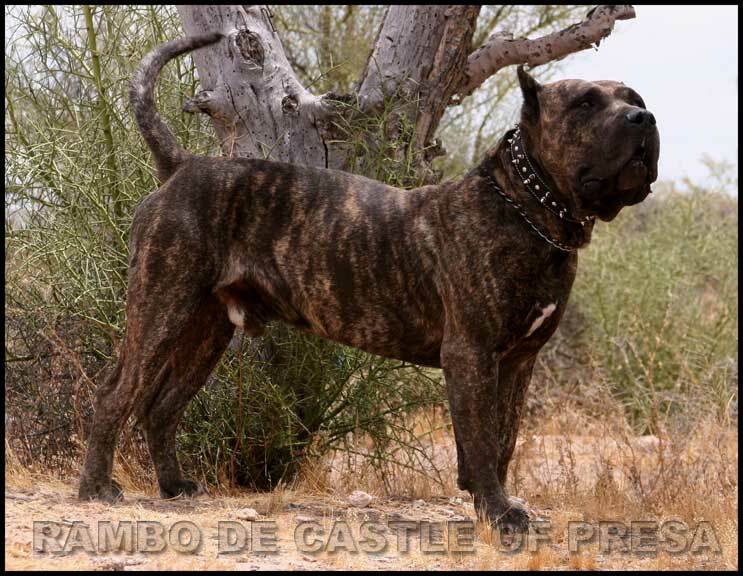 SIRE: RAMBO "The Military Dog"
Make fast deposit via PayPal, after we send you PayPal Money Request. We want to answer all your e-mails as soon as possible. However, sometimes due to a large amount of e-mails, please allow 3-5 days for us to reply. We are not taking calls with unknown or blocked I.Ds. Thank you for your understanding. 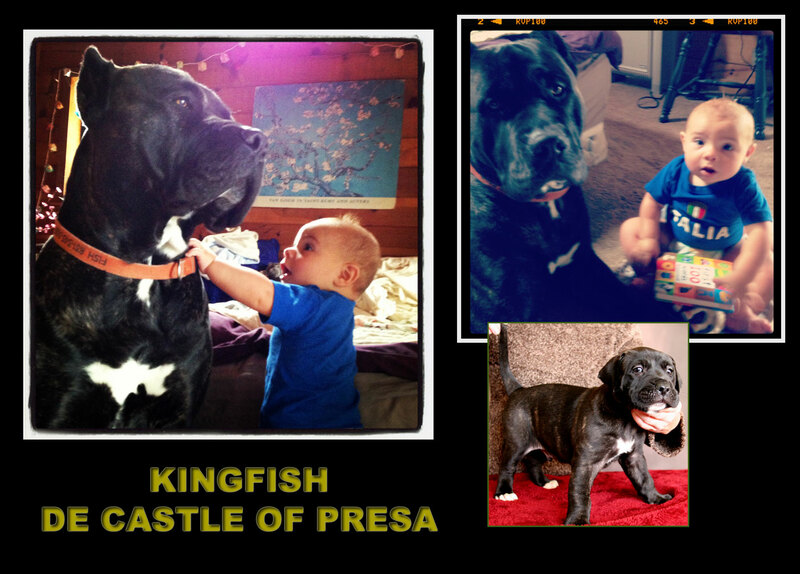 Breeding Presas is my hobby, I have a full time job and don't live out of my dogs. However, there are many puppy-mill breeders out there having large amount of dogs treating them very bad. 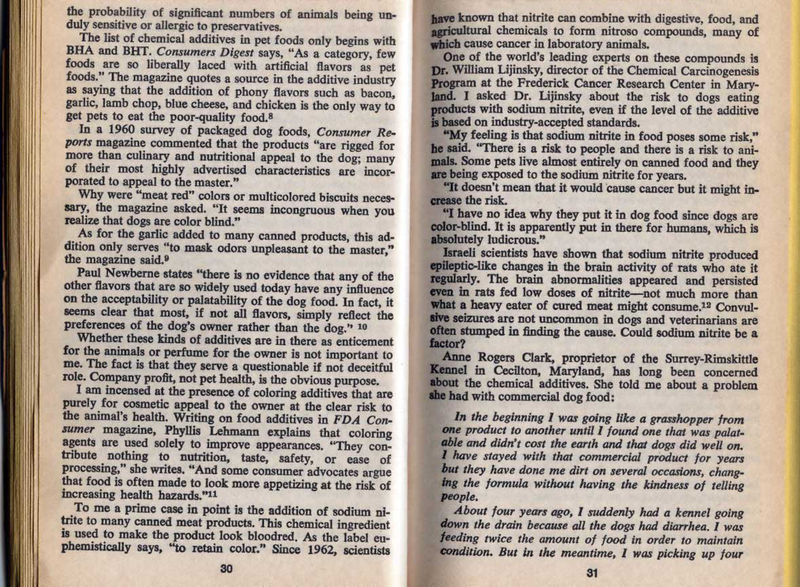 Keeping them in kennels full time like livestock, never let them out, don't clean up their kennels, so dogs stepping in their own poops and urine all their life, don't give them fresh water, let them drink bad water, feeding them only 3 times a week "bulk dog food" it is a mixed dog food what expired long time ago, or was discontinued because of recalls. 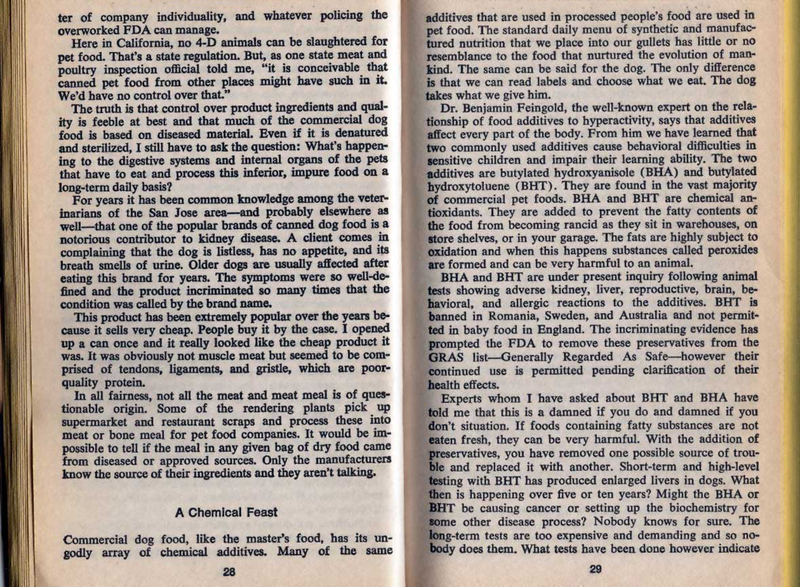 Commercial dog food is already garbage, made out of garbage, so bulk dog food is worst of the worst. But, it's cheep, and it's made only for stinky dogs right? Why people despite these great animals, I would like to know. 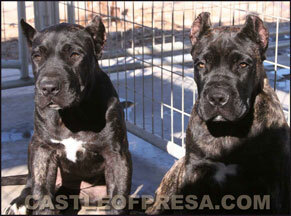 Dogs are very clean animals like to drink fresh water and eat fresh meat. Dogs are not protected from these human-money hungry trash, only we can help these dogs and puppies from suffering, when we will not purchase from these so-call "commercial breeders", so they will eventually stop breeding. Dogs should not be treated as business. Why? What are the principles of business? Get something cheep or for free and sell it with high profit. Dogs deserves better. 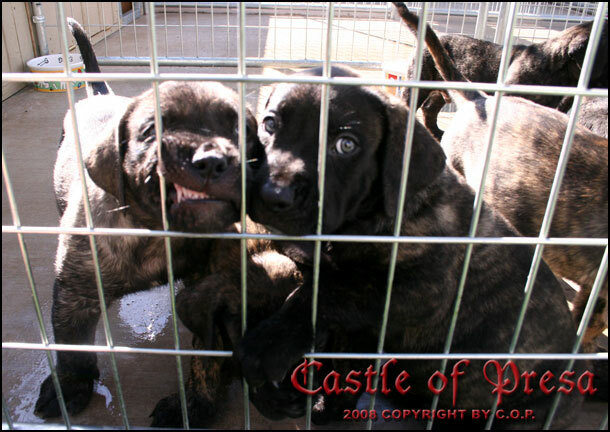 Those puppy-mill breeders are those who fill up the shelters with puppies and dogs they can't sell. The only way how you can stop these money hungry breeders and help those poor dogs who suffers in their kennels is just not to buy from them. Simple as that. 1. Do you have any old dogs? This should be your first and the most important question. Breeders who don't care about their dogs usually don't have any old dogs. 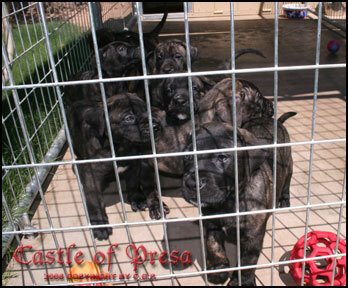 They usually put them down in age of 6-7 years, when they are not producing enough puppies. Or, they give them for free. Who would want an old dog? Sometimes they dump them in shelters. What a sad end for a beautiful champion male or female? Old dog should retire in their environment they live. We have all our old dogs, some have already arthritis from old age, but we are giving them medicine to make them feel better and comfortable. The most important, they live in the environment they know, environment they lived all their life. They might be gray and ugly, but we still Love them. 2. How many breeding dogs do you have? There is no reason to have more than 4-5 breeding dogs, If someone have more than 10 dogs, it is a puppy-mill. And dogs in puppy-mill have no life. 3. What do you feed your dogs with? 4. Are you keeping your dogs full time in kennels? Healthy dogs need exercise and be socialized in different environment such as your home, car and walking in the city. 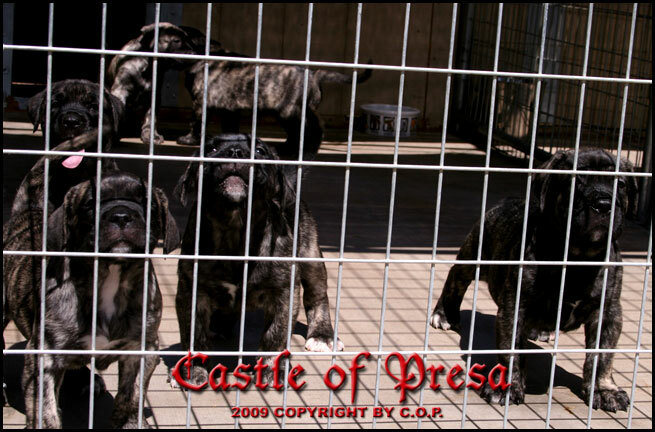 Presa dogs kept full time in the kennel get depressed or wild. 5. Ask breeder if parents of a puppy you are going to purchase has been hips X-Rayed. Most breeders never X-ray hips of their dogs, because it costs money ($250 to $350 in many cases) then they produce puppies with hips dysplasia. Hip dysplasia is a genetic problem. You can find copy of our dogs hips X-Ray on our website. 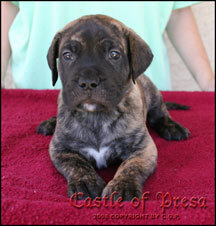 please visit our "dog rescue" page. 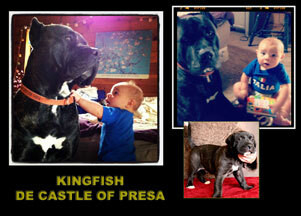 What our customers are saying about Castle of Presa puppies? MORE PICTURES IS COMING SOON! Harley is probably the best puppy what we ever produced to date, as far as the typical Presa Canario appearance and temperament. Harley resides in Florida. 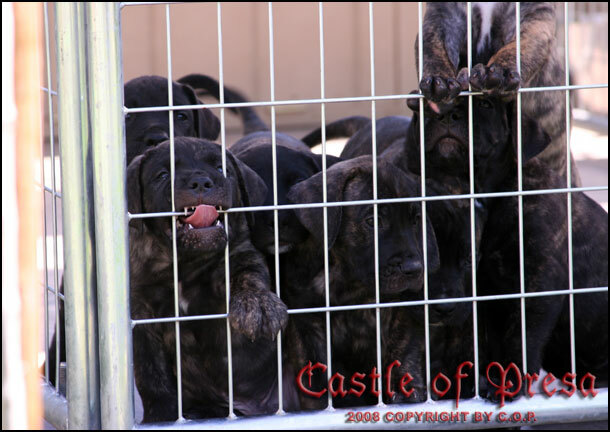 ...........We keep our puppies inside of our house during the night and take them out to our outdoor kennel during the day.Tthey have always something to look forward to. 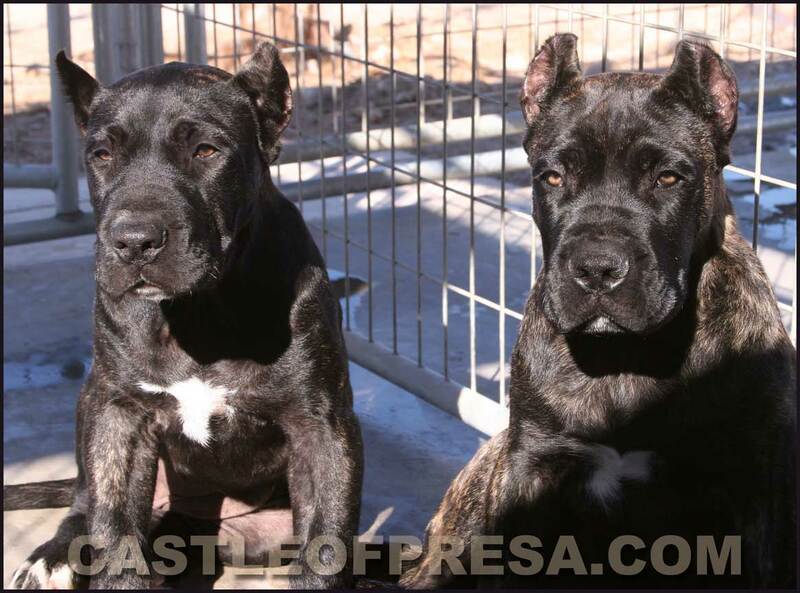 ...................................................................................Two of the best puppies from one Electra's litter started guarding at age of only 9 weeks! ...........................................................................................We are not a toy, we are Presas, .....the working dogs. Photo on the left: Hercules and Arain. 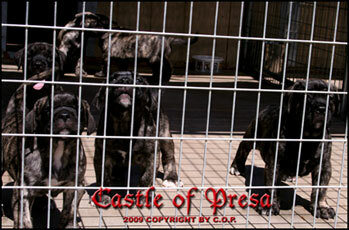 How to purchase a Puppy from Castle of Presa? e-mail, or phone, and let us know what gender of puppy are you interested in, and some details about your plans for your new furry friend. due at age of 8 weeks, or right after you make a selection. 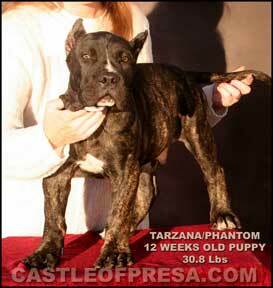 energetic and like to play with robust physicality. If you start to play hard with them, they play even harder. If any dog is playing with children, supervision is always recommended. 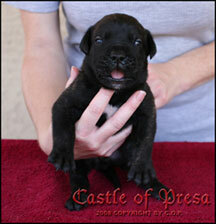 Our puppies come with UPPCC registration, and health guarantee. 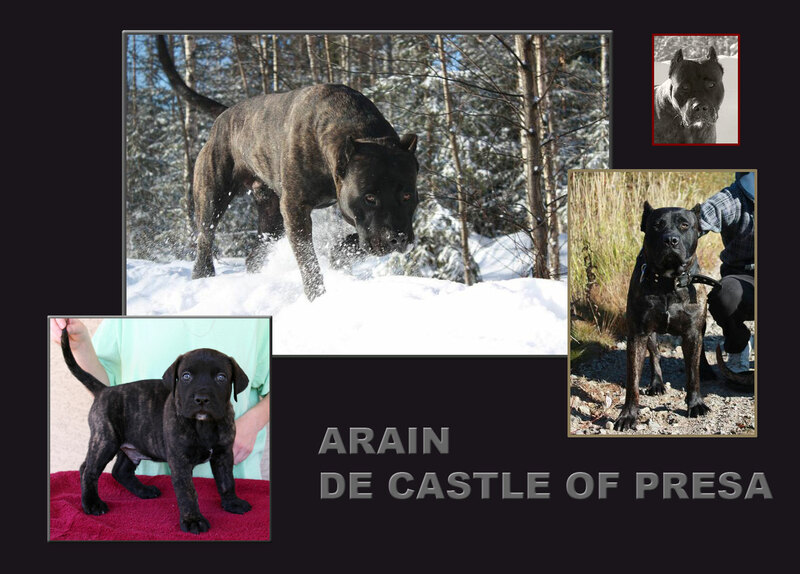 All our puppies come from the finest Spanish bloodlines. You can contact us for more info about our guaranties. 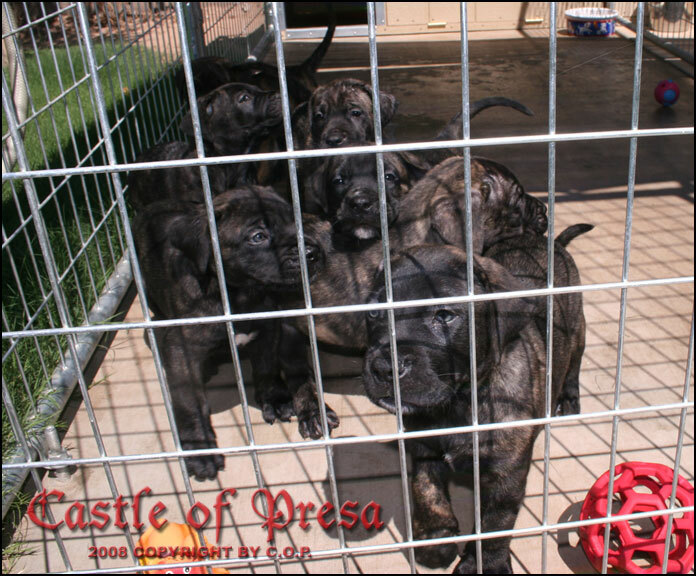 with your Presa when temperature reach 85F will more likely cause death of your puppy. We ship Worldwide. The shipping charges will apply. 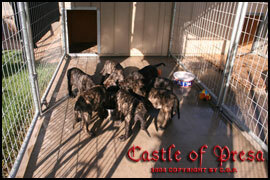 The puppies will be up to date on vaccinations before shipping. 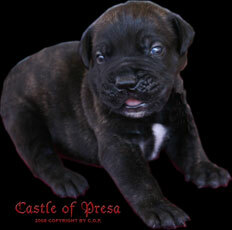 Why purchase a puppy from Castle of Presa? farm animals. 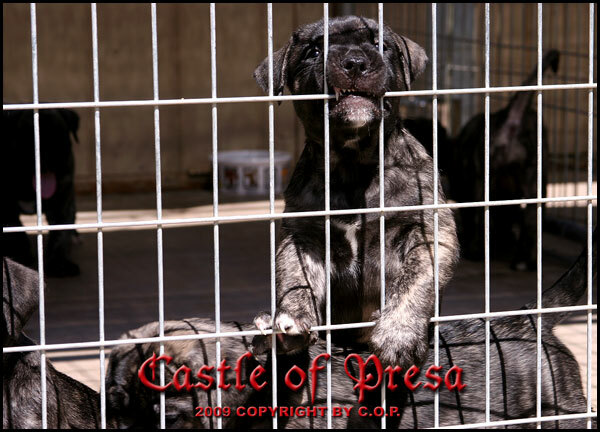 If they will live only in the kennel, without any human contact they will get wild, angry or depressed. stress from the shipping better. 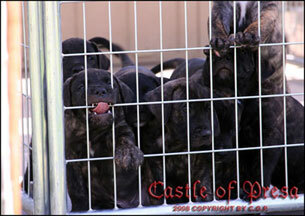 Some of our puppies begin guarding as soon as they reach 8 weeks, while others may take up to 4 months. and basic training. After this demonstration you can continue with training by yourself. No Petco/ Petsmart training needed. Theyb will omnly create demage on your puppy. 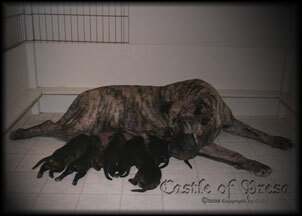 Free lifetime support advices with any health, or puppy training issues for our clients. puppies' immune system and keep them healthy. This way you will save a lot of money for the vet in the long run. We always give feeding instruction to new guardians of our puppies to avoid Pano and other health problems what could be caused by unconscious owner. 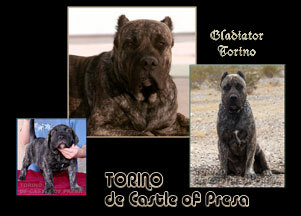 What you can expect from other breeders? Puppies are raised in small kennels or cages like hens, pigs or other farm animals, they also call them "farm raised dogs"
Puppies are never socialized. As a result of this the puppies are scared, too shy or they scream and get wild and crazy. These puppies are seldom interested in humans, they can even develop mental problems. let them scream, give them no choice, so they would have to poop and pee in the crate, in the same place, where they sleep. This is against their nature. 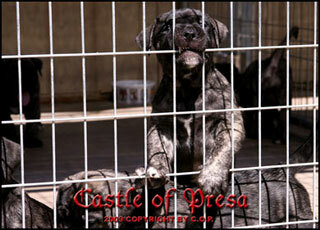 When puppies are shipped, they usually suffer emotionally, because they were not prepared for the trip. Potty training? 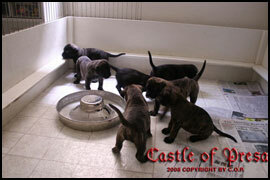 No way, puppies are usually messy, left in their own mess, cleaned only before the shipping. these puppies at all !!! chronic diarrhea, developing cancer, allergies, skin problems, and other diseases. 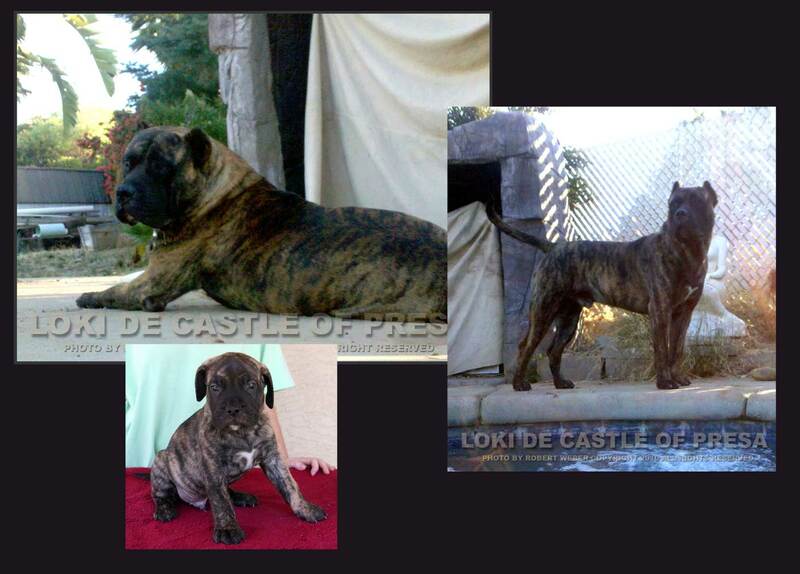 When the sale is completed many other breeders do not care what you do with the puppy or how it is progressing. and even mental problems. 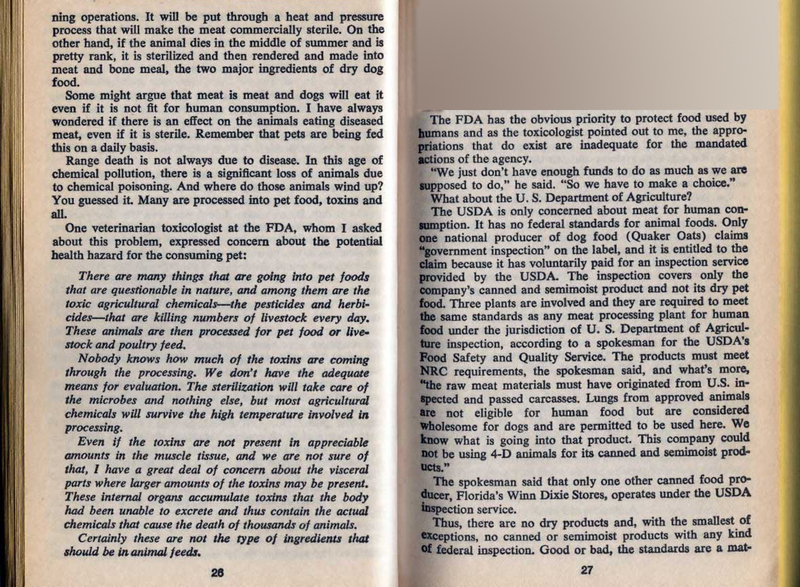 Please read this article: Dead Dog food , if you still don't believe it, read this article from other vet Dog Food. 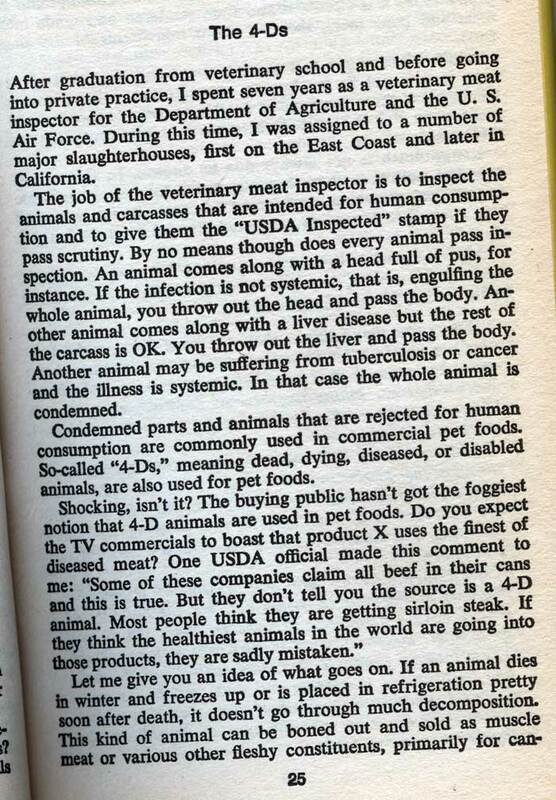 We all have been fooled by dog food companies for years. Just watch this video how dog food is made: Rendering process. If you can’t rescue - Don’t Breed! 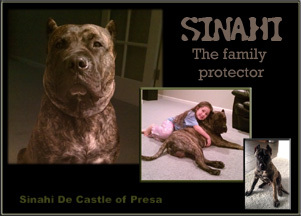 other reason can’t keep the dog, please bring this dog to us, or ship him to us, we will pay for the shipping. No question asked. where they will have no chance to survive.